Dr Scott Sallis was a budding young scientist trying to crack the super soldier serum. Little did anyone know that was also a moderately successful thief, and would steal expensive components, chemicals and other technology that he otherwise wouldn't have been able to afford. Unfortunately, his research hit a dead end when the technology he required, a reality nexus, could only be sourced from one place; Hank Sabbah Pym, the Antpocalypse. Most would have given up at this point, knowing that the maniacal scientist and his celestial technology were too dangerous. Scott however, was desperate; the debt collectors were banging on his door and if he couldn't support his daughter he would lose joint custody. He planned his burglary in great detail and amazingly managed to successfully infiltrate Antpocalypse's base, even managing to place his hands on the Nexus itself. Unfortunately for Scott, Antpocalypse caught him in the act, capturing the scientist and subjecting him to cruel experiments. These experiments transformed Scott into a monstrous creature made entirely of ants, with the power to burn all those that feel fear with his formic acid, generated by his ant colony form. Antpocalyose planned to make him his Ant-Man of death, however, because Scott had touched the Reality Nexus, he had become connected to it and transferring him mind through thousands of ants only multiplied that connection. Scott was able to free himself from the Antpocalypse's control, along with the Reality Nexus, and now wanders the world, protecting the Nexus and generally avoiding people. Haha this is amazing! Way to keep the link between Scott and Henry but then take it a whole new horror direction! Born to be empress of the Shi'ar empire, Karolandra was smuggled to earth to protect her from her siblings. Growing up not knowing her heritage until her mad brother tracks her down to kill her. With her friends and newly discovered light powers, they manage to defeat him. That doesn't mean karolandra can take the throne, just yet, she and her friends form the Starjammers to take on Shiar and free it from the rest of her family. Along the way she must learn more about her past and whether her parents were really trying to protect her and whether she wants to accept her birthright. Last edited by Magik84 on 09 Oct 2018, 08:58, edited 1 time in total. Eric Williams was a bad seed. Displaying classic sociopathic tendencies, he killed and tortured animals under the lackadaisical eye of his parents -- too busy paying attention to his golden boy brother. Eventually, he managed to burn down his house. Though he tried his damnedest to get his brother to follow his own dark path, his resentment only grew as he watched him become loved, handsome, successful, and even a superhero. Eric, instead, fell into a life of crime, becoming a cat burglar. One night, he set his sights on a museum exhibit containing medieval artifacts. He found himself drawn to an ornate scythe and, upon touching it, was ripped from our dimension into what he would later refer to as the "Dead Zone". The scythe contained a consciousness that drove Eric insane and bestowed him with incredible powers. He was strong -- as strong as his brother, even -- and he could move through the hair as if he was lighter than a feather. He found himself the ruler of this alternate dimension, a place where souls not bound to any particular afterlife somehow ended up. He found the dead bowed to his every whim. And, building himself an unliving army, he set his sights on his hated brother, vowing revenge. Powers: Terminus wields the Cosmic Control Scythe which grants him power over the denizens of the dead zone. He can emerge from this alternate plane of existence in places that belong to the dead and bring the souls with him as long as he holds his concentration. Within the Dead Zone, Terminus does not need to eat, drink, sleep, or breathe, and can return there at any time to recharge his energies. Fully charged, Terminus is strong and resilient, but his powers only last as long as he's holding the scythe. @Foom: Do you want Terminus and Wonder Beast to be brothers? I left it open enough for you to say yes or no. I'd be down for it if you wanted to, though. Last edited by EphemeristX on 09 Oct 2018, 06:46, edited 1 time in total. Psst. Hey, Cable. Hyperion and Barton are both on the Avenger list. It looks like you need an Avenger and a Cosmic. No there's two Hyperions. One in the Avengers list and one in the ROM list. I figured the Avengers one was from Hickmans run and the other is from Squadron Supreme or Squadron Sinister, since they're different characters. Damn that was an accident, I was trying to decide back and forth which pool to categorize him in and I guess I left him in both. If you notice something out of the ordinary like that please let me know asap. Unfortunately, Cable needs a cosmic character, and Hyperion is not in the cosmic category, so he still needs to repick. I will, in the meantime, remove Hyperion from ROM, which will have one fewer character than the rest of the pools. Yeah why not, that'd be cool! I was going back and forth whether or not to include his brother in my description it could totally work now. Fantasy Draft: Doctor Strange, Hulk, Namor, Venom, Mr. Immortal (off), Professor X, Old Man Logan, Honey Badger, Mary Jane Watson, Thanos, Cosmic Ghost Rider (on). Except I was counting on using Avengers Hyperion in my next warp. I apologize, but Hyperion was not meant to be on there twice, please just consider it like someone picked him before you got to use him. I think I've got a fall back. This round has been great creatively with the warps so far ...awful for my own ideas. I love Hypeguy, will he be open to a team-up? Kree transport ship has been intercepted, crew eliminated. Cargo was a parasitic bio-weapon named "symbiote". Our latest Super-Skrull recipient Kl'rt has undergone bonding process with the symbiote. Battle prowess and versatility has been increased tenfold. Kl'rt no longer responds to normal name, refers to himself in first person plural "We", symbiote appears to have sentience and a name for itself. "Venom"
The Kree will suffer by the hand of their own bio-weapon for Kl'rt has been reborn. Draft Teams: X-Men "The X-Defenders", Exiles "The Ubiquitous Undecate", GotG "The Defenders of Deep Space"
See, many years ago, Nanabozho, god of mischief of the Manidoog pantheon, gods that favor the Cheyenne people (I had to do some research for this!) was in need of a champion, an agent on Earth to play the subtle chords of mischief. He found his candidate in a young man whose name has been lost through the evil machinations of Nanabozho, a former pupil of the shaman of his tribe, Naze, who because of this already has a connection with the occult. On top of that, the young man was fighting as an American soldier in Vietnam at this time, what better place to start his reign of mischief? Nanabozho gave the young Cheyenne the power to naturally see the strings of mischief. The power to see what levers to pull, what traps to lay, to result in maximum evil and despair. A look into cause and consequences. As well as the task to utilize well. Whether the man take any joy in this himself, or was just under the influence of Nanabozho, remained unclear. Coupled with the rudimentary training into sorcery he already had, this new Forge of Mischief had set off to wreak havoc in Vietnam. He set off events that would lead through sending a rampaging beast, an incredible hulk, through the country, but the inexperienced divine champion had not developed the finesse just yet to truly oversee all outcomes of his deeds. His actions let to the formation of a resistance in Vietnam, a band of VIetnamese avengers so to speak who managed to put an end to Forge of Mischief's machinations and would stick together to leave the world stronger than it was before. It was a blow Forge of Mischief could never recover from, and left him bitter against heroes of all sorts, wherever and whenever they were. Santo Jones was raised in fairly typical circumstances until his mutant powers emerged. His growth-spurt was more intense than most, growing bulk and thick armoured rock-like skin, and increased strength and durability. As he got older, Santo used his powers to become something of a brash, arrogant bully, using his strength and power to intimidate those weaker than him, although his outgoing and playful personality did win him friends. His mutant powers had given him exceptional confidence and a careless disregard for those around him, but this was to change - as these rocky growths began to crack, and the crevices between these armoured growths radiated in heat and fire, Santo developed even more of an arrogant disposition, exploding at will generating incredible displays of rock, fire and energy, and then reforming - ideal for student pranks and dumb stunts. What the young mutant didn't know was that the energy outpourings from within these cracks were essentially radioactive. His frequent use of these radioactive emissions eventually triggered a cell mutation in one of his peers, a mutation that grew to become a malignant cancer. Following the friend's tragic demise to cancer, Santo swore to use his powers with more responsibility, while he'll still be brash and overconfident, referring to himself as the Rockstar of the InMutants, he'd have a much more considered attitude to those around him, particularly those weaker than him, and developing a reputation for loyalty, in summary, he'd be an Amazing Friend. Rockslide and Firestar for me please. Last edited by Spectral Knight on 10 Oct 2018, 11:22, edited 4 times in total. Oh I LIKE that, Spectral! That’s delightfully dark! 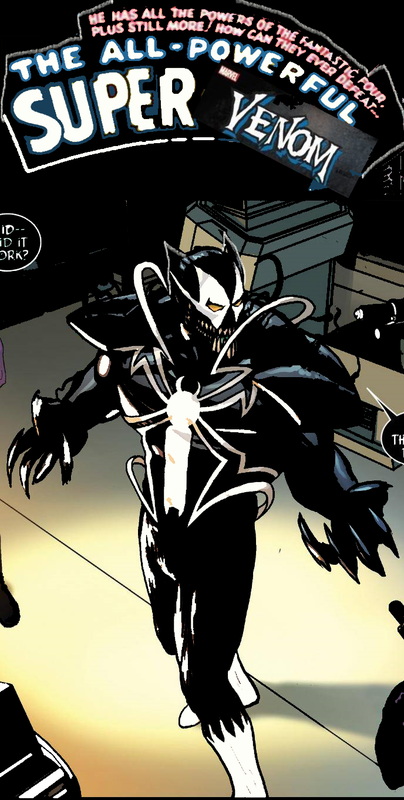 I also really like the Forge of Mischief and Super-Venom too, I could see FoM being a character who tried to manipulate the young and slightly naive Grimmoire, and Deathchamber would DEFINITELY try to recruit Super-Venom to his crew! i’m really seeing a shared universe here! If Black Summer ever wants Grimmoire’s help, he’ll have to send Nico’s father to face human justice. Or kill him. Nico’s a messed up kid. Not content to learn the woman's place in the Mystic arts Siora picked up the blade and shield and was determined to find a way to merge her magical talents with martial proficiency. The Asgardian trained for centuries creating a new form of combat. Combining a near master level of expertise with the blade and mystical abilities allowing her to create illusions, subtly control her opponent, energy blasts, and a small amount of time manipulation she is able to take control of a battle field. Siora was one of the first mystics to notice the incursion of the Dreaded Summer and He Who Sleeps in Shadows into our world. This feels like a character build from Dragon Age and i’m 100% here for it! In DAI, I mained a Spellblade. They were a broken class that could solo dragons.